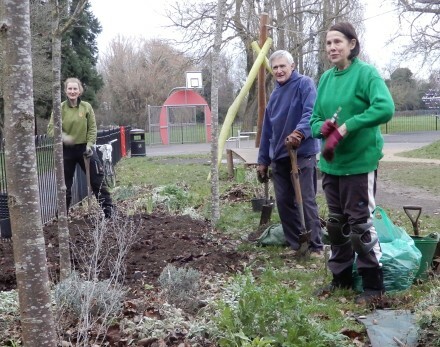 In the Abbey Meadows, in Abingdon, members of the Carbon Cutters were tidying up and pruning the garden beside the children’s play area. There will be some new colourful planting next year. 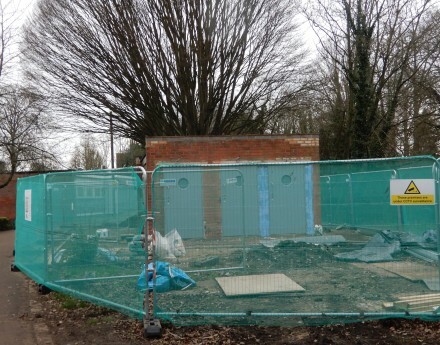 Nearby work is still underway on refurbishing the toilets. 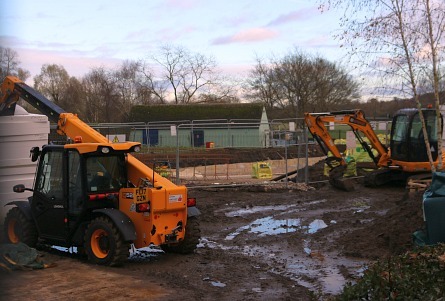 They will include five self-contained unisex toilets, men’s urinals, and a wheelchair accessible toilet with a height adjustable adult-sized changing bench and hoist. 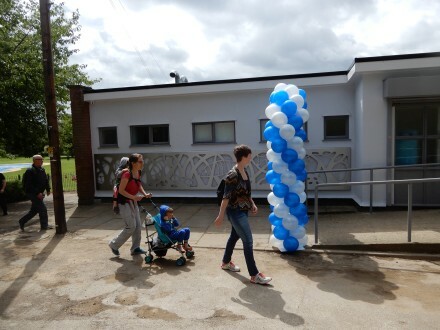 There will also be baby changing facilities. 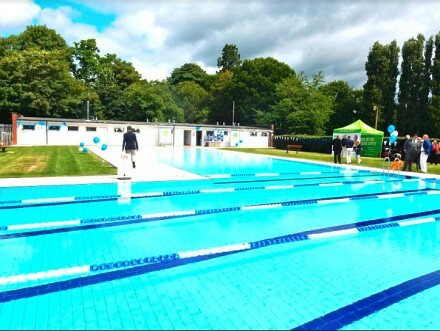 Today sees the opening of the Abbey Meadow outdoor pool at 1pm for swimmers. 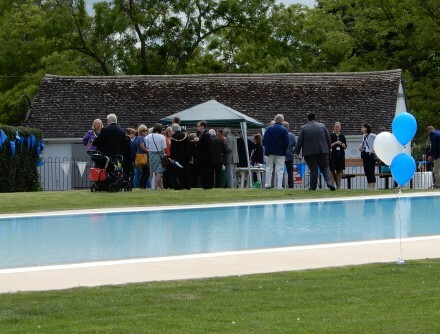 The pool and changing areas are looking very smart after the £1.3million refurbishment, and there are lots of balloons. 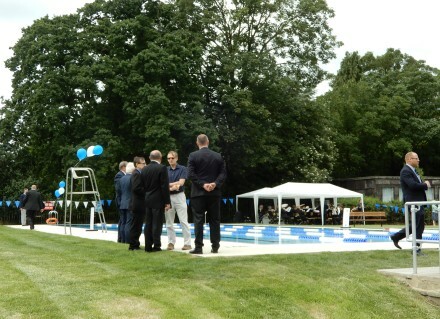 The council held an official opening event this morning for invited guests. Abingdon Town Band were playing and refreshments were being served. 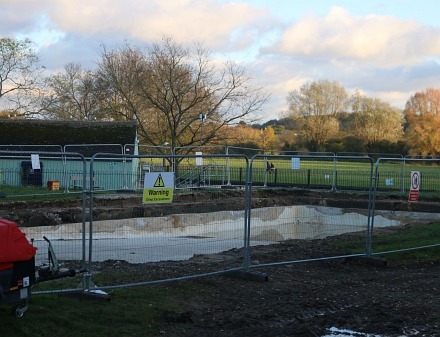 I was told that the council would be putting some pictures on their website for the use of the press. But, for now, here are a couple taken over the fence by a backstreet blogger. 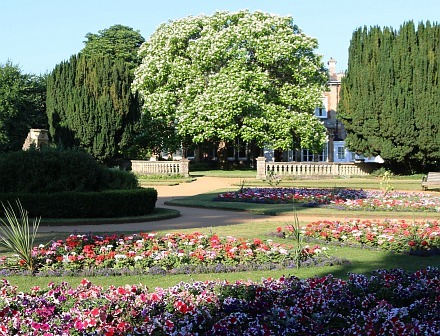 In the Abbey Gardens this summer there are not just the formal flower beds carpeted with flowers. 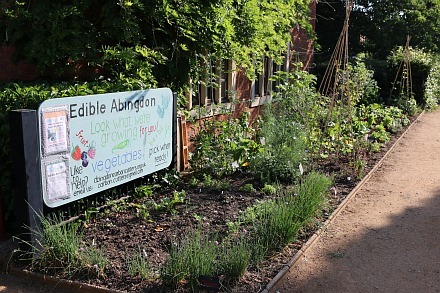 There is also an educational display put on by Edible Abingdon which people are encouraged to try at the right time. This section has clear labels for Thyme, Ruby Chard, and Red Currant. 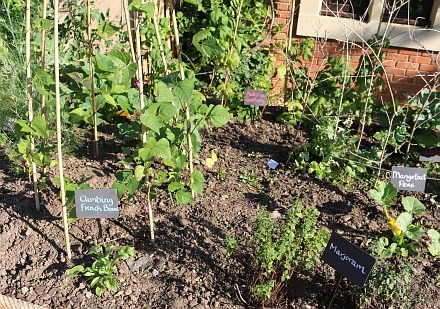 A bit further along are Climbing French Beans, Marjoram, Mangetout Peas, and Autumn Raspberry. 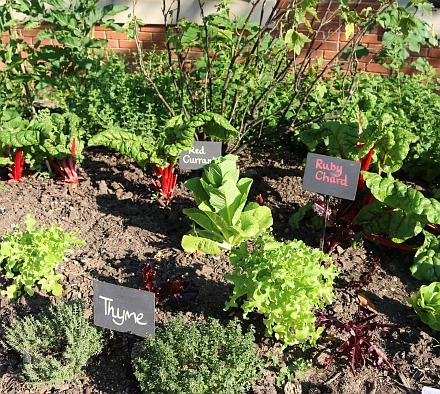 Apothecary gardens were grown in the Middle Ages by Benedictine monks who studied plants and their therapeutic uses. So the herbs are very fitting for the Abbey Gardens.